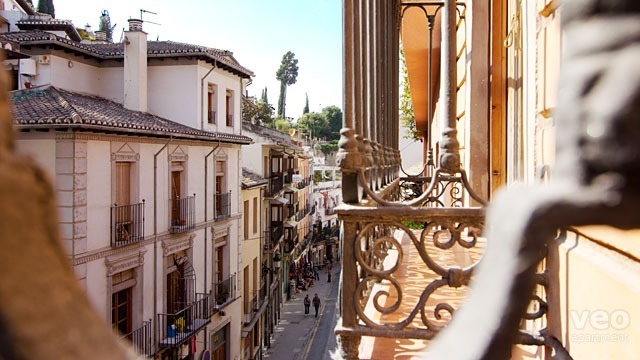 "Albaicín duplex" is a bright 1-bedroom apartment for 2-5 guests with a private terrace, centrally located in Granada's old quarter at the foot the the Alhambra hill, next to Plaza Nueva and the Albaicín. The apartment is set over two levels. On the lower floor is the bright living room with two large windows facing Cuesta Gomérez, a pedestrian street leading to the Alhambra. Additional sleeping facilities include a double sofa-bed and a supplementary bed, if required. Adjacent to the living room is the kitchen, which is small but well equipped, and includes new appliances. The first of two bathrooms is just off the stair landing on the lower level. 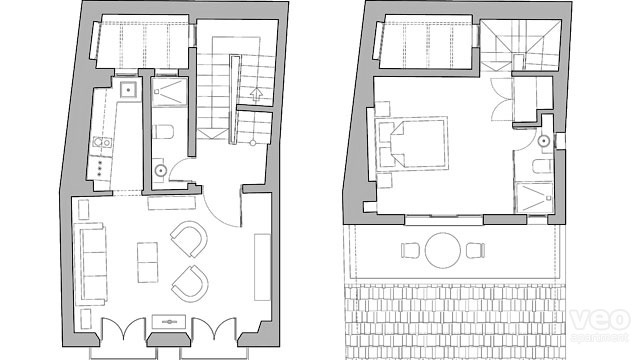 On the upper floor is the bedroom with double bed, wardrobe and en-suite bathroom. 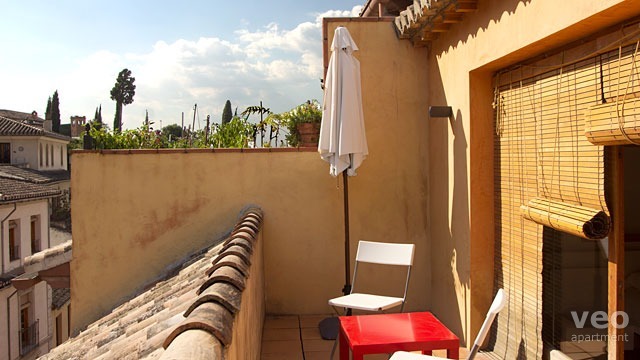 The light-filled bedroom opens onto a small private terrace with partial views of the Alhambra. 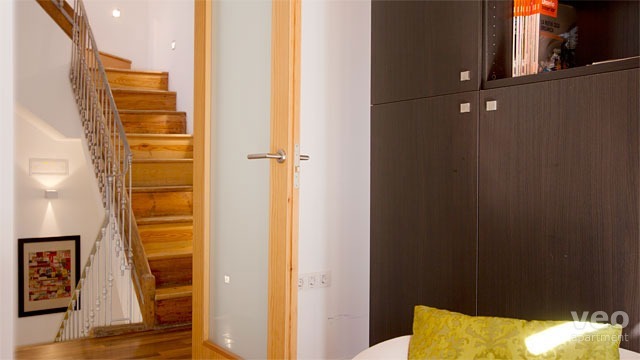 "Albaicín duplex" is on the third and fourth floors of a recently restored building composed of two studios and a one-bedroom apartment. 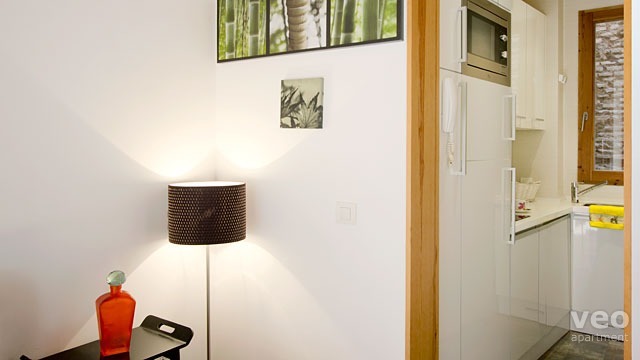 All apartments have WI-FI internet access, a flat screen TV and hot/cold air-conditioning. In the heart of old Granada and crowned by Granada´s famous Palace Fortress, the Alhambra hill - or al-Sabika Hill to give its proper name - rises up overlooking the whole of the city and the plains beyond. It is bordered to the north by the Darro River and Albaicín neighbourhood and to the west by the central Plaza Nueva. 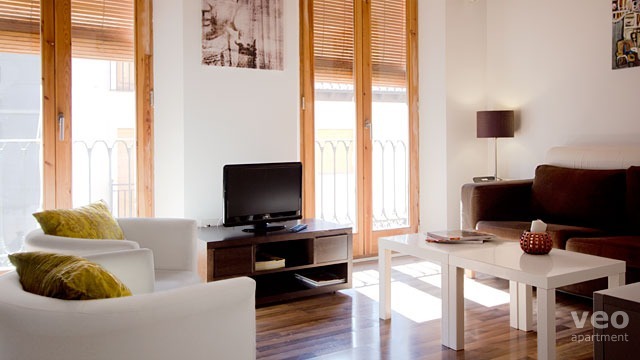 The Cathedral, main shopping district, and the Plaza Bib-Rambla are only a short walk away. Cuesta Gomérez rises up the Alhambra hill from Plaza Nueva, and leads to the main access to the monument through the Puerta de las Granadas. The relatively short but steep climb is punctuated by souvenir shops, guitar-makers and artisans workshops. To the south of the Darro River, on the lower part of the hill, there is a small network of occasionally steep and winding streets including many Casas Carmen. Unique to Granada, it is a traditional-style house with a pleasure garden and orchard - a country house in the middle of the city. Daily rate:16,50 EUR. Reduced price at car park "Trex". Located at 10 min walking from the apartment. "Stylisch wohnen in historischer Umgebung! Eine Wphnung mit Flair!!" Es war komfortable mit allem ausgestattet was wir brauchten, wir liebten es auf der kleinen Dachterasse zu sitzen, der Gitarrenmusik zuzuhören und über die Dächer des alten Viertels zu schauen. "Appartement design, propre et confortable, idéalement situé, un peu sportif vu les escaliers"
Situation idéale, pas grand mais très bien agencé, très propre, bon rapport Qualité/Prix, un peu sportif vu les escaliers. Nous espérons y revenir. "Great apartment in a wonderful city." 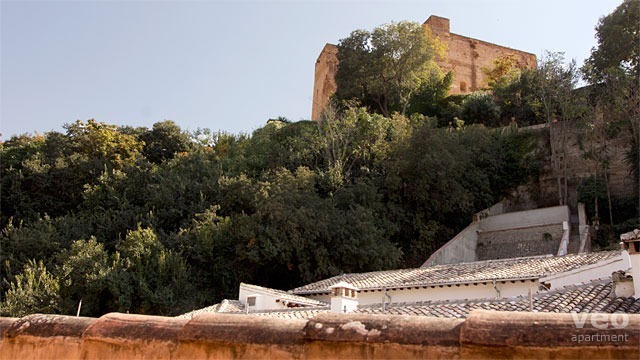 The apartment was located in good position for access to the Alhambra and the Albayzin which is what we wanted. 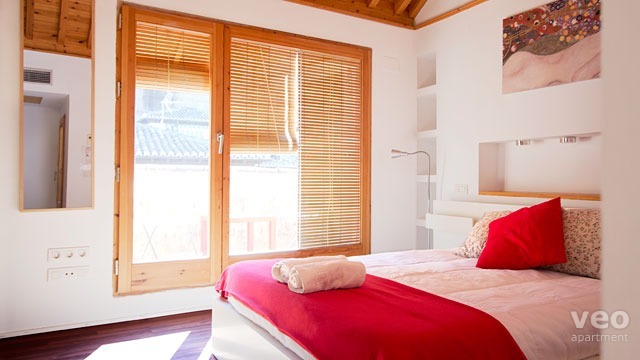 The accommodation was well furnished and had everything that we needed for a very pleasant stay in Granada. "Beautiful apartment in perfect location for Alhambra and Centre"
The apartment is very well finished and comfortable for up to 4 people. The terrace was lovely for breakfast and the location made it perfect as a stop-off during a busy tourist day. 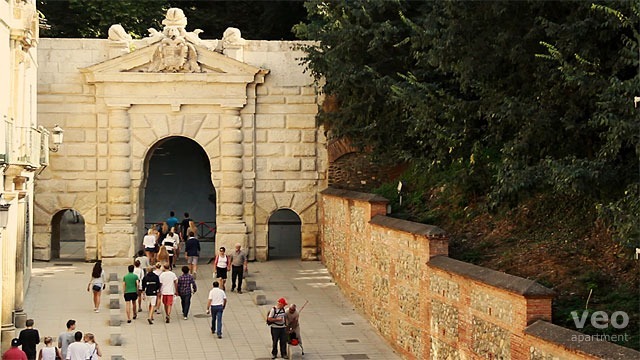 It is very close to all the important sights and this makes it ideal for visiting everything you want to see in Granada, as well as easy to get back to after an evening of tapas and teterías. 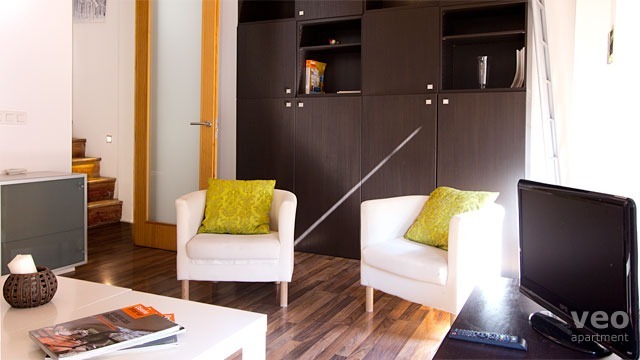 I would recommend both the apartment and the service offered very highly. The only slight problem was that the upstairs shower floods the whole bathroom when you use it, so we had to mop up the water every time we showered, but apart from this all was great. 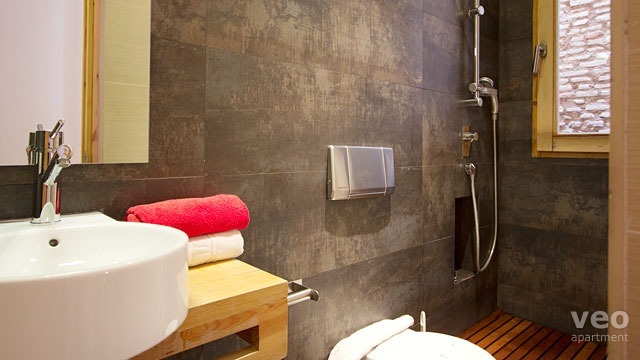 Bathrooms are really small and would get wet while having shower (specially upstairs). Wifi would work only downstairs. Everything else really good. "Amazing location and beautiful apartment!" 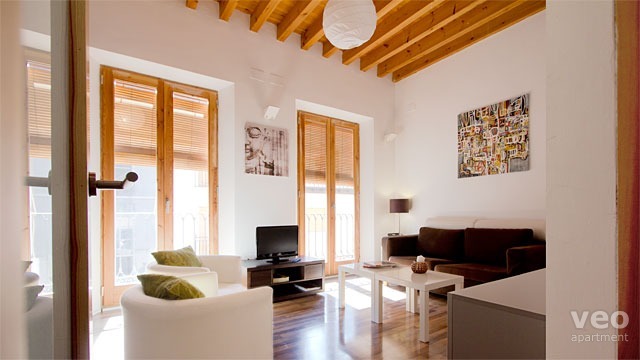 This apartment was beautiful, a few seconds' walk from the entrance to the Alhambra. It was a fantastic place to stay! I found it confusing re: arranging payment as I had 2 different people call me, one person said she would email me to arrange payment the next day (I asked her not to call as it was expensive for me to answer my phone on roaming) and then someone else rang the next day as though I had never spoken to the other person! "Absolument parfait : emplacement et aménagement intérieur"
"WE pluvieux mais appartement idéal"
Appartement idéalement placé pour une découverte à pieds de la ville de Grenade. "El apartamento es moderno, bien equipado y un poco estrecho!" lo mejor del apartamento es el director!!! tuvimos un problema y él nos ayudó inmediatamente y de manera sorprendente. la ubicación es excelente y si uno no tiene problema con subir escalones va a quedar encantado. Good apartment with great location. The shower heads in both bathrooms were broken. 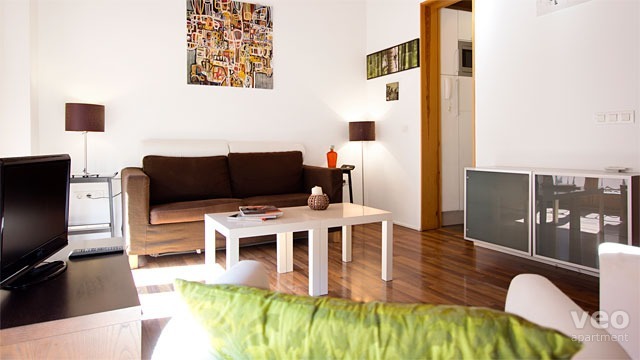 "The apartment was compact and stylish with everything on hand." Great position, good views. 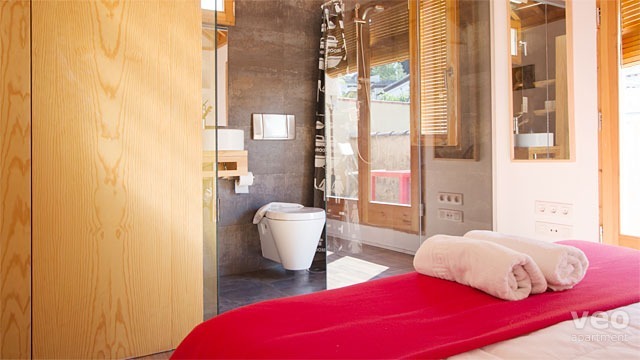 It was nice to have the outside terrace and the ensuite as well as shower room. We really enjoyed our stay. The only draw back was the building work going on next door from 7.30am, but I realise this was out of the control of the agents. 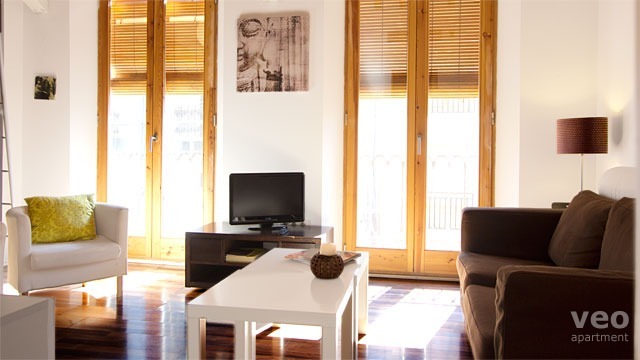 Apartment was great with a walking distance to everything you want to see in Granada. Service was great! No problem to check in and out.